Medical transcription is dead. Long live medical transcription! Many in the EMR industry have long forecasted the demise of the medical transcription industry. However medical transcription still continues to exist and this industry is starting to see an uptick in the dictation volumes in the past 18 months. The EMR vendors have aggressively sold their software by convincing physicians that transcription was an old fashioned idea and that it only adds significant costs to their operations without giving any corresponding return. They also convinced them that EMR was the panacea that would cure all the ills of clinical document creation using traditional transcription services. Physicians reluctantly adopted this technology without fully realizing the consequences of what doing away with transcription service can do to their current work load. Once physicians started realizing the woes of generating the documentation themselves, they started to push back on this workflow process. The EMR industry came back with even more crisp PowerPoint presentations, colorful data sheets and cookie cutter templates which showed that incorporating speech recognition into the EMR workflow would make the clinical documentation task easier for the physician, and tried to convince them again that using a transcription service was a bad and an expensive idea. Now the physician has to not only enter all the key strokes, spend hours learning how to correctly dictate, actually dictate and make sure that the dictated text is accurately recognized by the speech recognition program, deal with excessive alert fatigue from the EMR, switch between multiple screens to enter patient data, view multiple tabs within the screens, and within each screen focus on a sections and subsections to ensure that all data points are correctly captured to maintain revenue integrity and coding accuracy, make sure that all quality measures criteria are being addressed, all population health alerts are reviewed etc. And they have to do all these while the patient is sitting in front of them and when they should actually be focusing on the patient and listening to the patient’s story! Physician appointments are generally slotted every 15 minutes and this includes the time a physician has to spend outside the exam room. A 2014 article from Kaiser News says the physicians are being asked to see a patient every 11 minutes! Physicians are under constant pressure to churn patients through the system. Research has shown that patients are allowed to speak for 12 seconds before they are interrupted and more than a quarter percent of the time physicians did not allow the patient to complete a sentence. The same research also points out that computer work interrupts the physician and patient interaction much more than all other interruptions like a knock on the door, etc. Clinical documentation plays a very critical role in any patient’s care and the objective of creating a clinical document is for the physician to capture the patient’s story and then document each patient’s care episode in detail so that the same physician can go back and refer to the notes when the patient is back in his office again, or when the care is being shared by multiple physicians. These days providing high quality care to a patient is often complex and each episode of care involves multiple doctors across multiple care settings. This type of involvement by multiple providers is becoming more and more important with the advent of bundled payments and value based payments. Therefore, it is going to become even more imperative that the clinical documentation be of high quality and that the document accurately captures the entire patient’s story. This cannot be achieved with point and click data capture alone. It requires physician’s narrative and documenting his or her critical insights and thinking. Over the last few years, the role of clinical documentation has been reduced to a point where it mainly serves the purpose of capturing the required clinical terms that are needed for performing accurate coding and billing. With this new emphasis on collecting and documenting structured data for coding and billing, the role of the narrative is highly diminished. When doctors are asked to work with such an incomplete picture of the patient story, quality of care is bound to suffer. The longitudinal care document is critical in improving the doctor – patient communication and trust. 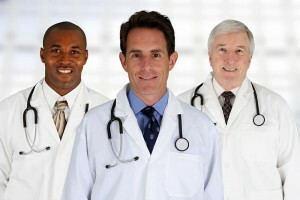 Research has also shown that EMRs encourage defensive documentation by physicians. Defensive documentation is defined as ‘note bloat’ which means superfluous documentation that unnecessarily highlights negative findings and obscures positive results. It also means that there are excessive brought forwards and use of copy and paste function from previous notes that oftentimes do not add any significant to value to the current document. The pendulum has swung too far to one side in the last few years and now there is an urgent need to find an equilibrium. An equilibrium where the EMR and transcription can each play a complementary role so that the requisite information is available in a form and manner that enables the physician to improve patient care. Finally! We have been waiting for this to turn around. I’ve been an MT for 23+ years and make less money now than when I started. EHR came along, pay cuts followed. No computer generated program will ever match the expertise of a living MT. It would be nice of the pay would go back up to what it used to be. Health care providers need to know there is a simple solution to the added burden of data input – hire a medical transcriptionist. It costs $15 per hour for an MT to do the data entry, while facilities are paying an average of $70 per hour for doctors and other health care providers to document the visits. One think they do like about EMR is immediate turnaround. YOU DO NOT HAVE TO CONTRACT WITH AN MTSO (Medical Transcription Service Owner) at 16 cents per line where you have to wait for the reports to return the next day. Each full time physician should have one MT who can work in real time entering the transcription into the EMR for a fraction of the cost of using an MTSO and they would still have close to immediate turnaround. Medical Transcriptionists can work as independent contractors, thus you save the overhead of having an in-house employee. Thousands of experienced, specialty-trained medical transcriptionists are currently either having to work for half of what they were paid 25 years ago, or are unemployed. By eliminating the middleman, you can be free of the data entry headache and see more patients or spend more time with them. We now have the technology to work in real time, where before we usually had 24-hour turnaround. OMG – I’ve been saying this for YEARS – I’ve been doing this for almost 34 years now, and am relegated now to working for a transcription service that mostly edits these speech/voice recognition messes, instead of having us do what we are good at doing – making doctors look like they are intelligent beings! A machine cannot capture the nuances of every single person’s speech – the idea that medical transcriptionists are “just typists” is ridiculous! We have years and years of experience in many different disciplines that in this day and age of “specialties”, most physicians and other midlevel healthcare providers simply don’t have the time to know how to spell anything outside their realm of expertise (and often they don’t even know how to spell those things they deal with every day, never mind making a cohesive, understandable sentence – I suppose if they could, they’d be English teachers and not physicians/healthcare providers!). I HATE what transcription is turning into, and I’m in my 50s now – I’ve been a transcriptionist since I was 19 years old – and seriously thinking about getting completely out of the ancillary healthcare support profession as a transcriptionist because of this! Fixing the mess that speech recognition creates – even for those providers who speak clearly, slowly, etc. – is so boring and pointless! It’s actually doing double work, because the provider isn’t just picking up a phone or a handheld recording device then handing it off to a transcriptionist – the programs make a messy document and then we have to “fix it” so it makes sense, etc. Just let us transcribe it directly in the first place!!!! They shoulda’ thought about that before they went and priced out and/or laid off so many of us. Most of us that left MT will never go back. Raghu Vir is the President and CEO of Saince, Inc. He keenly follows trends and policy initiatives in the healthcare industry and comments regularly on healthcare related issues in various forums.